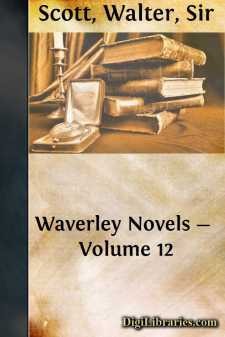 Sir Walter Scott transmitted from Naples, in February, 1832, an Introduction for CASTLE DANGEROUS; but if he ever wrote one for a second Edition of ROBERT OF PARIS, it has not been discovered among his papers. Some notes, chiefly extracts from the books which he had been observed to consult while dictating this novel, are now appended to its pages; and in addition to what the author had given in the shape of historical information respecting the principal real persons introduced, the reader is here presented with what may probably amuse him, the passage of the Alexiad, in which Anna Comnena describes the incident which originally, no doubt, determined Sir Walter's choice of a hero. May, A.D. 1097.—"As for the multitude of those who advanced towards THE GREAT CITY, let it be enough to say that they were as the stars in the heaven, or as the sand upon the sea-shore. They were, in the words of Homer, as many as the leaves and flowers of spring. But for the names of the leaders, though they are present in my memory, I will not relate them. The numbers of these would alone deter me, even if my language furnished the means of expressing their barbarous sounds; and for what purpose should I afflict my readers with a long enumeration of the names of those, whose visible presence gave so much horror to all that beheld them? "As soon, therefore, as they approached the Great City, they occupied the station appointed for them by the Emperor, near to the monastery of Cosmidius. But this multitude were not, like the Hellenic one of old, to be restrained and governed by the loud voices of nine heralds; they required the constant superintendence of chosen and valiant soldiers, to keep them from violating the commands of the Emperor. "He, meantime, laboured to obtain from the other leaders that acknowledgment of his supreme authority, which had already been drawn from Godfrey [Greek: Gontophre] himself. But, notwithstanding the willingness of some to accede to this proposal, and their assistance in working on the minds of their associates, the Emperor's endeavours had little success, as the majority were looking for the arrival of Bohemund [Greek: Baimontos], in whom they placed their chief confidence, and resorted to every art with the view of gaining time. The Emperor, whom it was not easy to deceive, penetrated their motives; and by granting to one powerful person demands which had been supposed out of all bounds of expectation, and by resorting to a variety of other devices, he at length prevailed, and won general assent to the following of the example of Godfrey, who also was sent for in person to assist in this business. "All, therefore, being assembled, and Godfrey among them, the oath was taken; but when all was finished, a certain Noble among these Counts had the audacity to seat himself on the throne of the Emperor. [Greek: Tolmaesas tis apo panton ton komaeton eugenaes eis ton skimpoda ton Basileos ekathisen.] The Emperor restrained himself and said nothing, for he was well acquainted of old with the nature of the Latins.